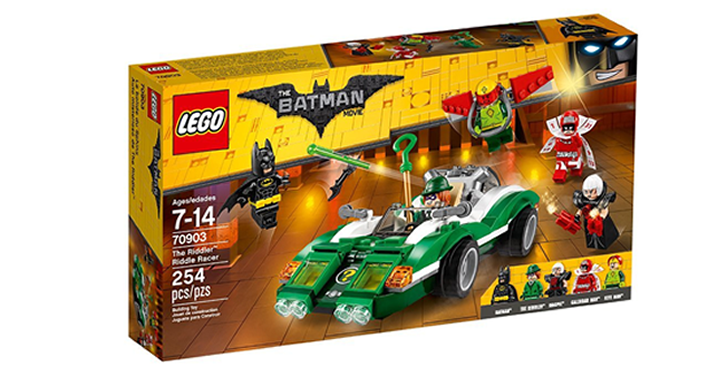 LEGO Batman Movie The Riddler Riddle Racer 70903 – Just $17.99! Here’s a deal that will make your Lego fans happy! How about your Batman fans? My kids love the Super Hero Legos and this set is so much the same! They are sure they can not have enough sets – they will love this one. This would also be great in the gift closet! Check out this great deal! Get on over to Amazon and get a LEGO Batman Movie The Riddler Riddle Racer 70903 – Just $17.99!